“I’m absolutely delighted that Dear Zoo is being brought to life on stage for the very first time!” Rod Campbell, author and illustrator. Dear Zoo, the timeless children’s book, makes its stage premiere. Rod Campbell’s best-selling lift the flap book has delighted generations of young readers since it was first published in 1982, and has sold more than 8 million copies worldwide. This production will delight all those who have read the book (both young and old) as it unfolds, with engaging puppets, music and lots of audience interaction. Join us this October to see what the Zoo has sent: the perfect pet – in the end! Thanks to ABA Productions, we have a family package of 4 tickets x Cat 2 tickets to give away for you and your family to watch Dear Zoo Live on Stage! By Rod Campbell on Sunday, 21st October 2018 at 12pm at 9 Empress Pl, Singapore 179556. 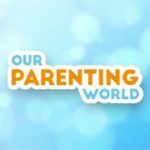 To win the tickets, please move over to Our Parenting World Facebook Page at https://tinyurl.com/ybl9s4jv and Instagram @opwmedia to participate in the giveaway. Hurry, giveaway will close on 15 October at 23:59Hr.